Conversation on Rowhouse Pop-Ups Continues | Park View, D.C.
Rowhouses on the southeast corner of Harvard Street, at 15th, have been slowly popping up over the past few years. As each house falls like dominoes, the front porch is removed and the roof is raised. The house on the corner was the first to get renovated. The third house in was the last, and least compatible with the street. Leading up to, and since the January 15th Zoning hearing on the proposed text amendments to our rowhouse neighborhoods, a lot is being written both in favor and against those amendments. While there are several aspects to the text amendments, the focus has been on the additions to rowhouses known commonly as pop-ups. In reading through the testimony before the Zoning Commission on this issue, one might get the impression that should the amendments pass and be implemented that pop-ups would be banned in rowhouse districts. This is incorrect. The text amendments will be a good beginning in managing pop-ups, but it won’t stop them. I wrote about pop-ups over a year ago and talked about how we need a process that will guide new construction in old neighborhoods — possibly the Conservation District — which will address the question of “How?” rather that “Can we?” I think there is real potential for new development in old neighborhoods with the proper oversight, design review, and guidance. Sadly, this doesn’t exist in D.C. at this time. Today, Pop-ups will be a topic of discussion on the Kojo Nnamdi show as well. I’m providing the write up from the WAMU Website below for those interested in turning in. Some residential neighborhoods in D.C. are developing a jagged skyline as row house owners build up — adding on vertically to create so-called “pop-up” houses with more floors than their neighbors. Some home owners see them as a savvy way to increase a family’s space, or to create new units. But others consider them to be not only an eye-sore but a way to price more people out of the District housing market. We consider the practical, aesthetic and zoning issues created by pop-ups buildings. This entry was posted on January 26, 2015 at 7:01 am and is filed under Architecture, Development, Housing. You can subscribe via RSS 2.0 feed to this post's comments. Hmm, I’m concerned that none of the voices on Kojo’s show will represent the view held by many that these much-scorned popups actually represent the investment and revitalization that these neighborhoods sorely need. They take run down properties and fix them up into something that people can be proud of, take care of, and contribute to the rebuilding of the neighborhood fabric. I am all for pop ups. As for aesthetics, I would much rather have a pop up than a run-down rotting rat-nest on my block! I’m just the opposite. 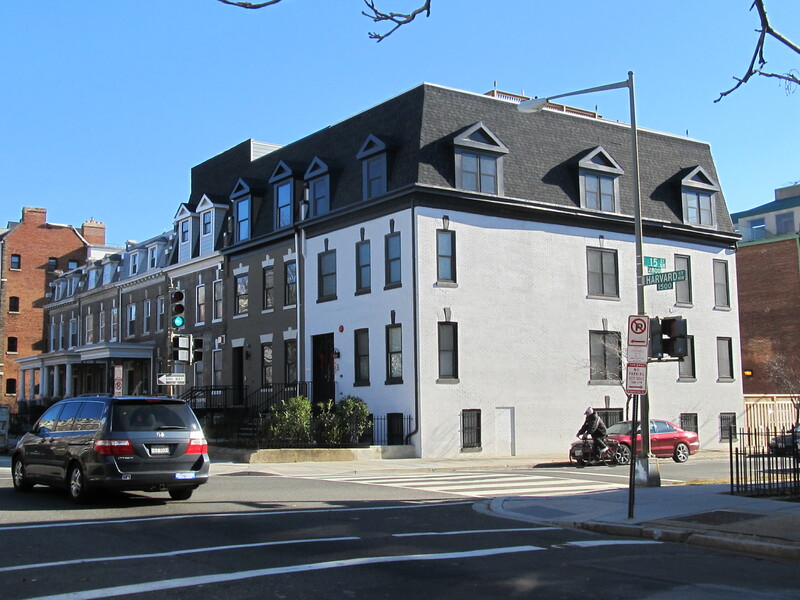 Any blighted property in the district is a candidate for rehab, but turning a single family home into a 3 unit apartment is exactly what the urban renewal programs of the 1960’s encouraged. Those properties became the blighted and neglected properties of the 1980’s. Urban renewal is know as one of the most misguided revitalization strategies ever by urban planners. A popup single home conversion might do some short term good, but long term they harm neighborhoods. Very good point Cliff. It is one that is not being discussed as often but very important. What long-term effect is this having on the neighborhood fabric? How many of these condo conversion owners will plant roots in such buildings for years to come? Then what happens? Yes, in theory, pop ups can satisfy a small demand for density. Though one can argue that density is better fulfilled through larger developments along major thoroughfares such as Georgia Ave and 14th Street which get to scale and disrupt a lot less than individual pop-ups all over the neighborhoods. Look this city has a lot of areas with room to grow still without pop-ups (i.e.select NW neighborhoods, many areas of NE,and across the river in SE). I am not completely against pop-ups but feel outside developers have been allowed to run rampant with no regard to the communities they are operating in. There should at the very minimum be some regulations in place to ensure the aesthetics blend as well as an overall plan on how the city wants to move forward especially with regards to Cliff’s comments. Boohoo. Don’t be ridiculous. A developer will develop in areas of NE and across the river in SE when there’s demand there. Right now, it’s in 20010 and 20011. Plant roots? Most of the Victorians in Dupont, Adams Morgan and Logan were converted years ago and those are thriving neighborhoods. The majority benefits here: the seller of their crappy property, the developers of said crappy property, the buyers that can’t buy an entire rowhouse or rehab one, the neighbors that are tired of crappy properties. Few losers: Cliff and co.